Lincolnshire Police are residents to be vigilent a pensioner became the latest victim of a scam where the caller claims to be a police officer. Lincolnshire will be the first place in the country to require the medical information for each person applying for a firearms licence or renewal. Lincolnshire Police is placing the safety of gun users and members of the public at the forefront of their firearms licensing system. The initiative will mean licences are never granted before up-to-date medical records checks are received by Lincolnshire Police. This will apply to new applications from today (Wednesday, April 4) and renewals as of 1 August. Lincolnshire Police is launching this to improve the safety of both licence holders and county residents, recognising that there are more than 20,000 licences in the county. The latest news has been welcomed by Deputy Chief Constable, Craig Naylor. Mr Naylor said: “Our shooting community are very responsible and want to work with us to ensure the safety of all. “We believe that just assuming someone is safe to have a gun is extremely dangerous and totally irresponsible, so we are taking steps to provide a better understanding of an individual’s suitability to have a certificate. “Since my arrival in Lincolnshire I have been made aware of tragic circumstances where firearms licence holders have taken their own life. “I am committed to reducing this and providing the best possible safeguards to our communities. “We have a duty to protect every resident in this county and by improving this process we are protecting both licence holders and the public. “The proposal is not expensive and equates to a cost of approximately 25p per certificate holder per week – roughly the cost of one shotgun cartridge. Police and Crime Commissioner, Marc Jones, echoed comments from Mr Naylor. PCC Marc Jones said: “I made a commitment to invest in improvements to the firearms licencing process in Lincolnshire and this change is one part of delivering on that commitment. “To date we have increased the number of staff to process applications in a more acceptable timescale, brought Firearms Inspection Officers ‘back in house’ from G4S and under direct control of the Chief Constable and we have developed and introduced the UKs first fully digital portal for applications meaning reduced errors, removing duplication of work and further reduced the time taken to process applications whilst improving safety for the public. “There are some 50,000 legally owned and responsibly held firearms in Lincolnshire and this change will support those licence holders to be safe as well as reassure the public at large that a sensible approach is taken to licencing. National advice from the Home Office currently requires police forces to apply for medical records checks. However, if a force then doesn’t receive a response from the applicants GP within 21 days – the force is guided to assume there are no medical issues and grant a licence. This means that across the country, licences to hold a gun or shotgun are sometimes granted without medical information being obtained by the police or consideration given to health issues that may increase risk to gun ownership. 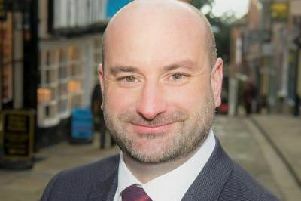 Dr Kieran Sharrock, Medical Director for Lincolnshire Local Medical Committee, said: “We recognise that it is vital that firearms licence holders are properly checked, including having their medical records checked, for their own safety and that of others, so we are pleased to support the police with this new policy. “Examining medical records and preparing reports takes some time, and NHS patient care has to take precedence, which means that it often takes longer than twenty one days for the report to reach the firearms licencing department. “Practices do require funding for performing these checks, and writing the reports, in the same way that they are funded to produce reports for HGV driving medicals and for SCUBA divers.